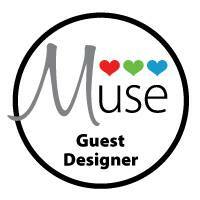 Pumped to report that I am the Muse Guest Designer this week! You can check out the challenge (to post a card inspired by mine) here. I cannot wait to see what folks make! Come on, it's cake people!! 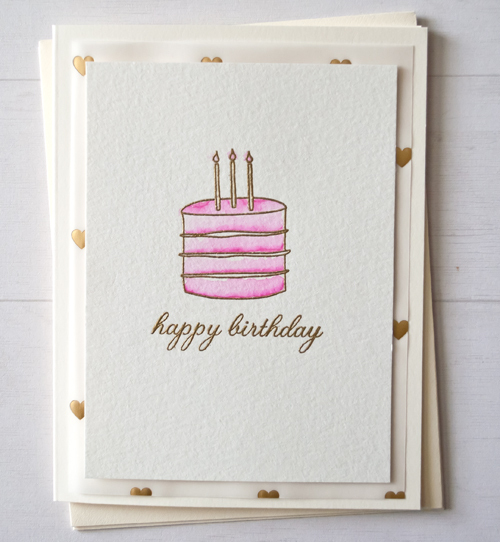 So many ways to go here for the challenge -- colors, embossing in gold, cake, watercolors, candles, vellum, hearts! 2. 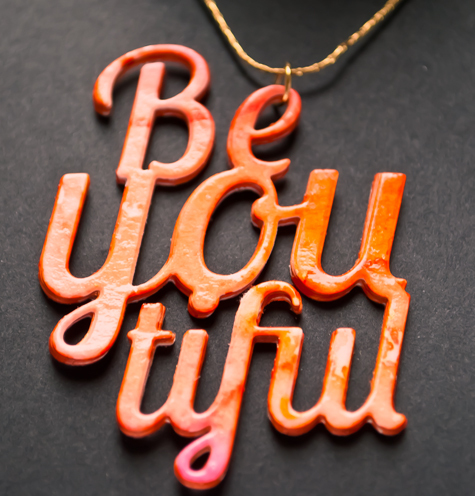 Rub embossing buddy over paper, stamp candles with Versamark and emboss in gold. 3. Stamp candles on post it note or masking paper and cut. 4. Mask candles, stamp cake in Versmark and emboss in gold. 5. 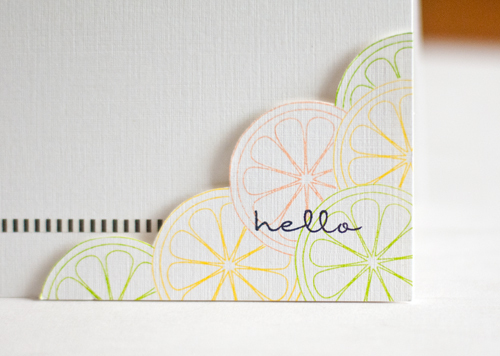 Make small line with Tombow marker on bottom of each layer and on the top, and paint a bit of water to lift up color. Not too much water! 6. Stamp sentiment in Versamark and emboss in gold and hope it is centered and straight. 8. Adhere center of papers to each other, leaving a 1 inch perimeter without adhesive. 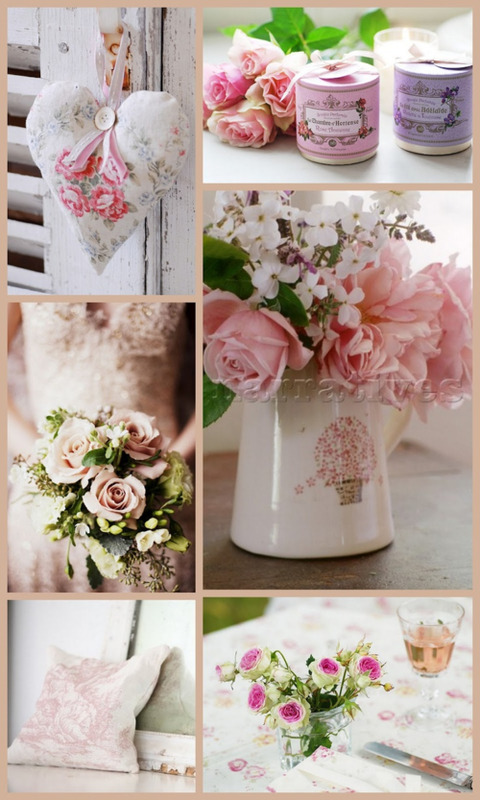 This gives a softer, looser, look. 9. Sit back and be happy. 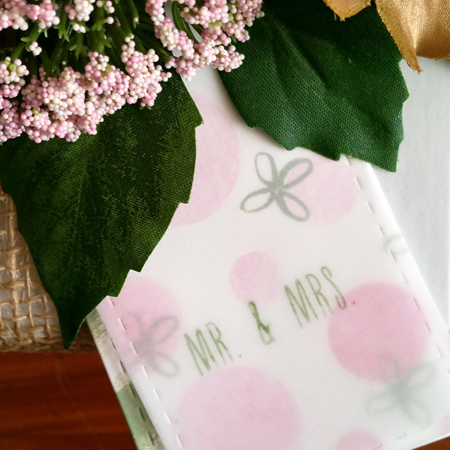 Clean up the mess, address the card, and mail it! I love how peaceful it is. So how did I go from 3 dogs to 2 flowers? 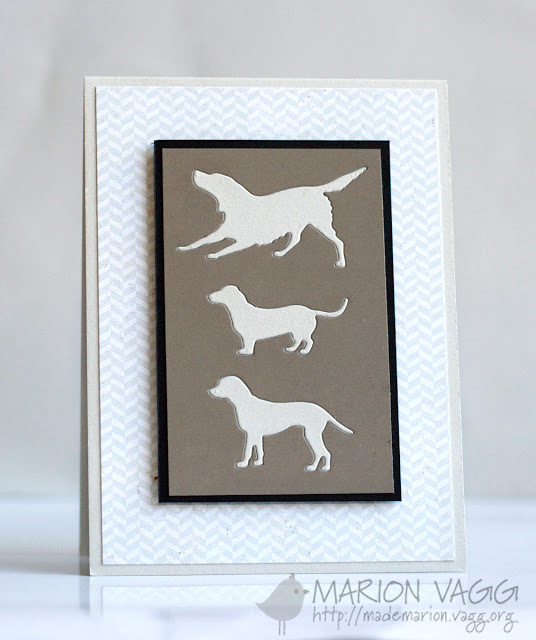 Well, I was inspired by the inlaid die cuts on a centered panel with a neutral background. I realize it is a stretch, but challenges are always a stretch for me. I see someone else's card, or a mood board, and freeze. But I'm trying to participate in more of them, as I'm convinced it is a good way to develop. 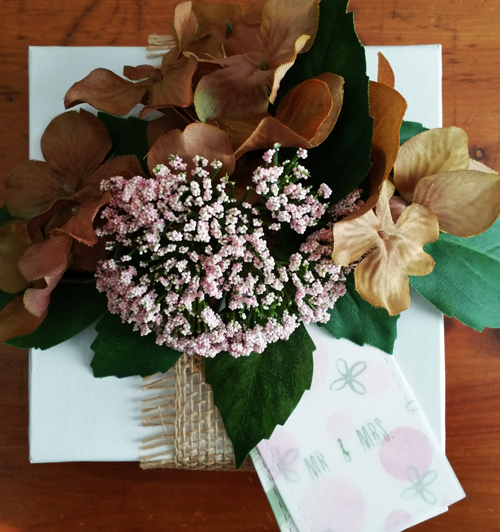 Color the flowers and let dry. I used Tombow markers. Color stems and leaves. Let dry. Cookie time! Trim watercolor paper and die cut. Save the pieces that go between the stems. 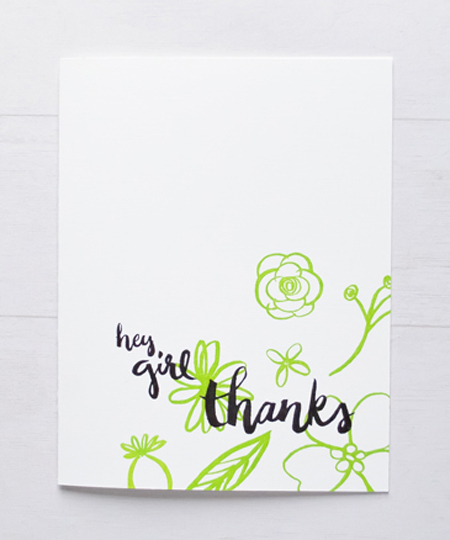 Adhere watercolor paper to a piece of white cardstock and trim if needed. 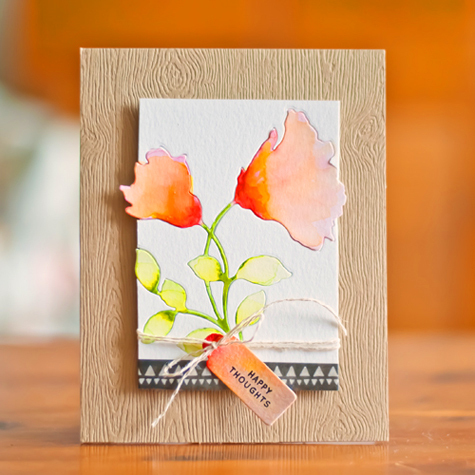 Adhere flowers to open spaces in watercolor paper. Add washi tape or patterned paper to bottom of panel. Watercolor paper for tag. Let dry. 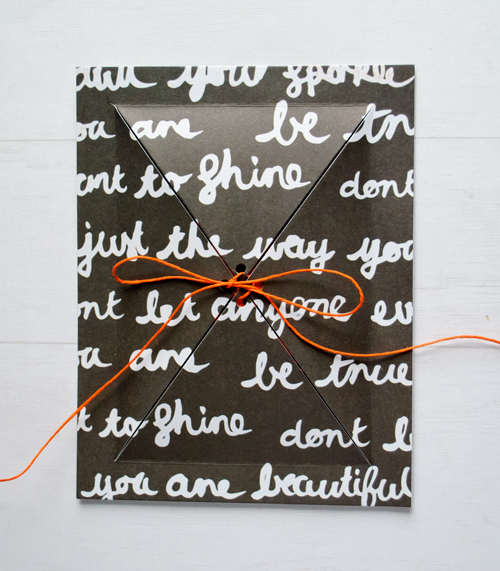 Adhere tag by wrapping twine around panel. 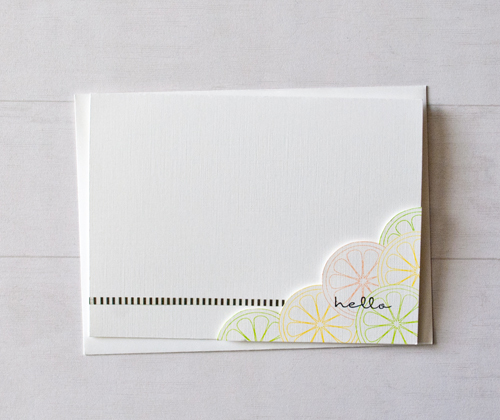 Trim wood grain cardstock to A2 size and adhere to white A2 card. Adhere panel with dimensionals to card. You are not done. Before you leave, clean up the mess you just made. How to Get Rich Stamping: What the Industry Doesn't Want You to Know! Let's get real. You want to know the secret. How am I getting rich stamping while you, well . . . are not? Am I smarter, more talented, luckier? Yes. But that isn't how I am getting rich stamping. You have the talent. Lord knows you have the materials and supplies. But what you don't have is the inside scoop. Quit trying to understand twitter, ###ing yourself to death, buying planners and tossing them under the bed, and embossing your sofa. 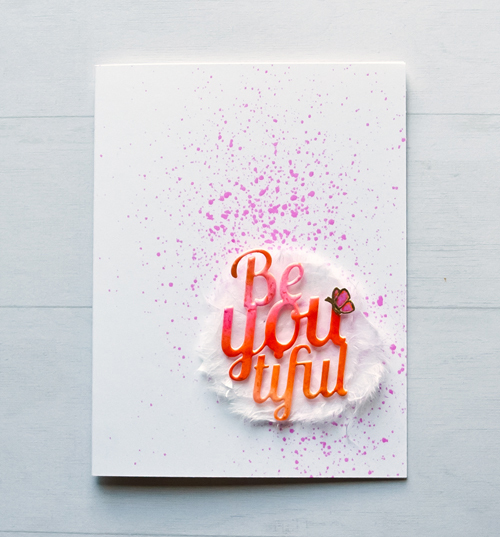 Dear Paperlicious has learned, through extensive interviews, trial and error, and just plain hard work, exactly what it takes to go from pressing "Buy" to saying "Bye Bye" to purchasing craft supplies. I've stopped spending on crafting and now receive thousands of dollars in free craft supplies, and have a six figure CASH income earned by stamping. For a limited time only, I am ready to share What the Industry Doesn't Want You to Know. But not for long, as I expect this to sell out within a day or two. 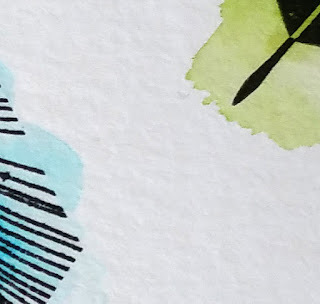 For just two easy payments of $29.99 each -- just the cost of a stamp set or two, a coordinating die, and an ink pad in a green that would make Monet cry -- you can discover the 5 secrets that the industry is desperately trying to keep under wraps. How To Buy: Please leave your contact info in the comments here and I will send you the link to my paypal! It will be the best $39.99 you've ever spent! Had lots of fun watercoloring these butterflies with Tombow markers. 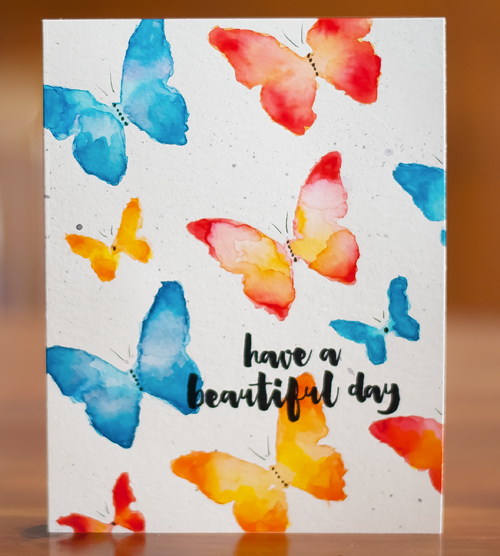 Susan Rahaila at Simplicity has been making cards with butterflies recently, so I am entering my card in the latest Simplicity one-layer challenge, which is Blossom. 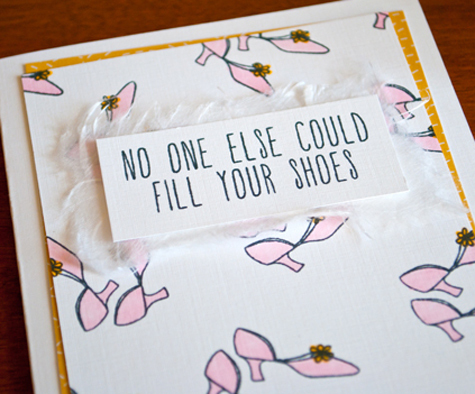 Susan's online name is LateBlossom so the challenge permits you to make a card based on one of hers. outline stamp (these are from Clear and Simple Stamps Butterfly Garden 1). 1. Color outline stamp with marker and stamp. 2. Add darker color with marker near corners of image and in center. 3. Blend colors by wetting the part of the image with NO color first and moving the water into the markers. Wet the edges carefully so that they do not bleed out. 4. Repeat for each butterfly (or your image). 5. Add more ink with markers to deepen color. Blend where needed. Added feelers and dots with black marker. 6. LET DRY. Go eat a cookie, watch a show, clean up your space. You can dry with heat gun but that will warp the paper a bit. I hate warp. 7. Cut masks and then spatter with black ink. Have paper towel ready if splatters too large. Yikes, almost ruined the card! 9. Run folded card through Big Shot or other die cutting machine in order to flatten. This will remove any warp and leave a smooth finish. Love this look. 10. Sit back and enjoy your creation. Mail it!! The latest Ellen Hutson Mix it Up Challenge requires the participants to use one Essentials by Ellen product and one Avery Elle product. 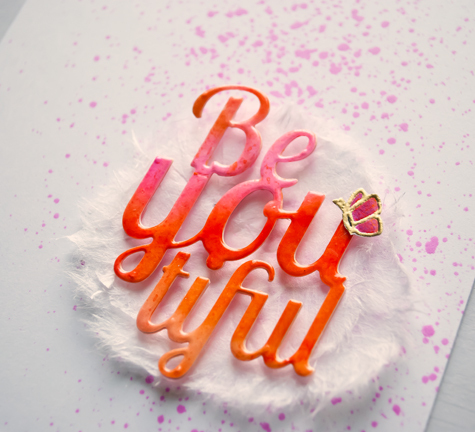 I used the Be-You-Tiful die designed by Julie Ebersole for the Essentials by Ellen Spring release, and a tiny butterfly from Avery Elle's Storybook set. Not sure if it is kosher to just use that tiny butterfly but it works! Colored the paper with Ranger Adirondack Dye reinkers and water. Coated the watercolored paper with Mod Podge Dimensional Magic, let dry overnight, and then die cut. 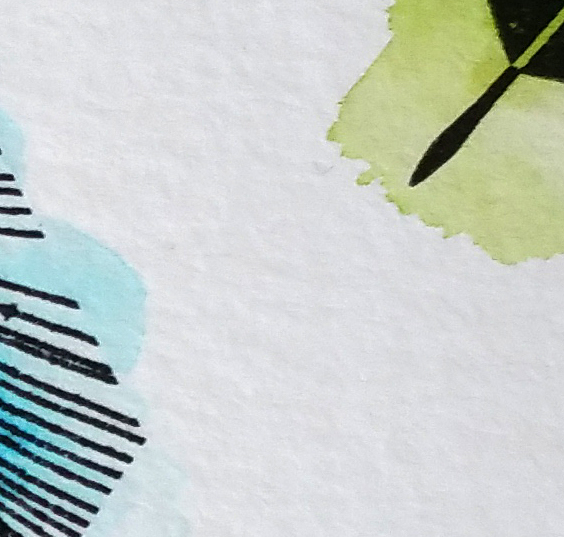 Here's a close up of the flat, shiny, die cut sitting on a bed of two layers of some ancient mulberry paper. 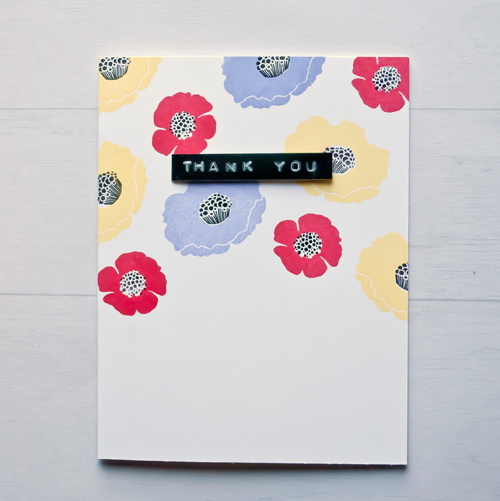 Spritzed the card with a mix of water and the raspberry reinker. 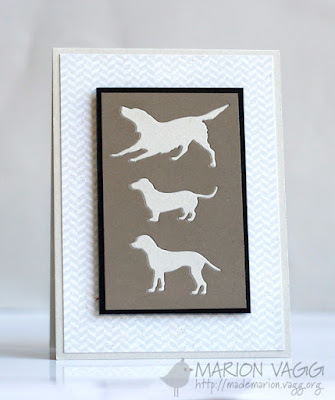 I kept die cutting and later this week, you'll see how I used this die cut in a different way. MOOD WHEN DONE = Grateful for so many things. 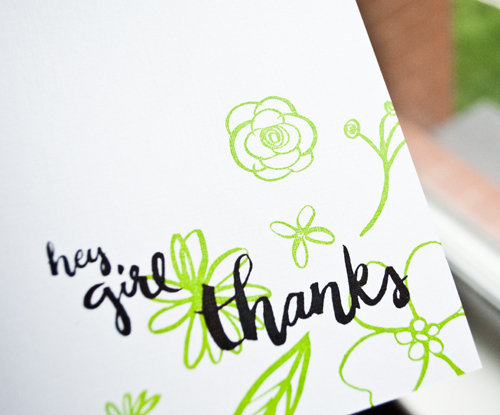 Thanks for visiting the blog and being part of the online crafting community. Some of you are daughters taking care of your mom. Or maybe your dad or husband or sister. (The tips refer to moms, but substitute as needed.) Or maybe you are thinking about doing so. If so, this post is for you. As Mother's Day approaches, I have mom on the brain. If you've read my previous blogs, you know that my mom lived with us for 19 years. For the last 5 of those years, she needed serious care taking. After that, she spent a year and a half in a nursing home before she died. I can now look back on those years and thought I'd share a little of what I learned. 1. To the maximum extent possible, let your mom make her own decisions and feel important. Losing control is scary and often does not bring out the best in people. The more my mom lost control of her life, the more she made ridiculous demands requests, like wanting fried green pepper sandwiches every day for months at a time only to be followed by THE YEAR OF MACARONI AND CHEESE. It helps to ensure that they make as many decisions as possible. Mom can't blame you when things don't turn out, and folks have the right to decide their own medical care, what they wear, where they live, when they take their pills, etc. -- as much as possible. 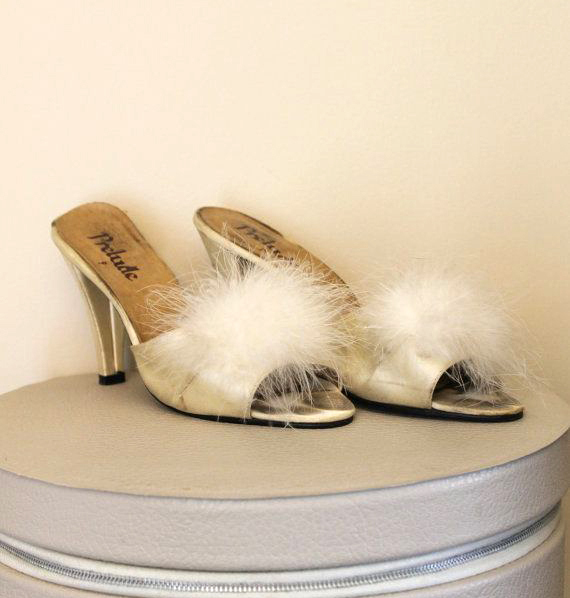 I disagreed with many of my mom's decisions, but they were hers to make and in the long run, it made my life easier. My mom, like a lot of frail elderly, felt useless. But she blossomed when I asked her advice about anything -- making meatballs, something about my kid, etc. It made her feel useful and needed. (Hint: she doesn't need to know that you didn't follow all of her advice....). 2. If your mom has frequent medical emergencies, keep an "ER" bag packed. My mom went to the emergency room over 40 times over a 5 year period, so I became a pro. three copies of a list of her medications, including dosage and frequency and a summary of her medical issues. You don't need a novel -- a paragraph is fine. some food for you and your mom. Depending on the nature of the emergency, you may not need some of these but they are good to have. In addition, on the way out the door, I would grab some of my mom's pill bottles and would TELL the ER doctor or nurses that I was giving my mom her regularly scheduled pills (this is why bringing a plastic cup is useful). ER docs don't order blood pressure, routine pain pills, or meds like that unless needed to cope with the reason for the emergency. 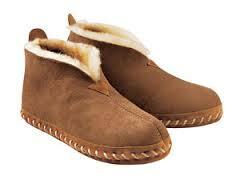 For example, my mom had gout and if she didn't take a particular pill every day, it would flare up. I learned the hard way how important it was that she stay on her regular pills. The docs never objected and often told me that I was smart for bringing them. Just make sure you tell them in advance! 3. Make peace with your sibling issues. It is not uncommon for one child to be the caretaker and watch siblings scatter to the wind. Your brothers and sisters may refuse to help pay, may not have the money to help out, and/or may rarely visit or call. Expect it. If the opposite happens, rejoice. It is also not uncommon for the parent to idealize the non-helping kids. It can be a source of tremendous resentment. I kept my mouth shut about my siblings in front of my mom, although there came a time when I had to intervene so that what was left of her money stayed out of my brothers' hands. But most of the time, I let it go. You have enough going on without adding that to the mix. 4. Speaking of money. If you are taking care of your mom's finances, be prepared for someone to question where all the money went. It can be your mom, your siblings, or the government (if your mom needs Medicaid or other assistance). Eventually, some one is going to want to know where the money went and he or she will be looking at you. There is plenty to spend it on. But, keep good records, particularly if she sells her house or car. 5. Don't feel guilty over sometimes wondering when your mom will die. Yup. It happens. You aren't a murderer; you are a daughter. A very tired daughter. When a friend told me she googled her own mother's life expectancy because she couldn't imagine caring for her much longer, I realized that I wasn't the only one who sometimes wondered when my mom would die. It helped to know I wasn't a bad person for thinking like this. Don't waste your time feeling guilty for these feelings. When my mom died, I was both devastated and relieved. I was relieved that she was no longer so miserable. But a part of me was also relieved that I was no longer consumed with her care. Now that my mom is gone, parts of my life are much better, but I still miss her so much, much more than I thought I would when I was in the middle of it all. We love our moms, but we are human and complicated. There will come a time when the care taking ends and all that will have mattered is how you acted, not how you felt. And you will miss those days (well, some of them) and your mom. A lot. 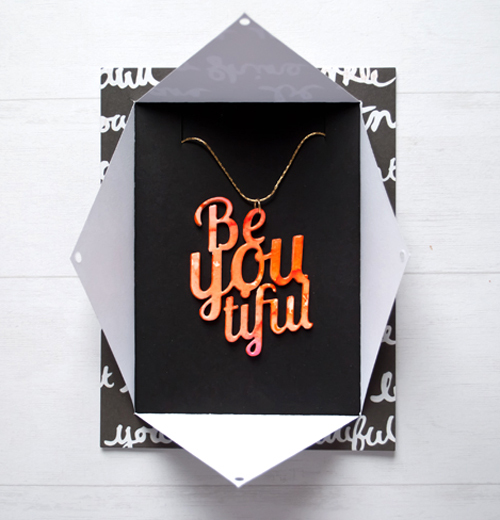 The winner of the Amazing Women set is Martha Miller, who wrote "My fav is the packaging. " I agree, it was my fav too! Martha, please email me at imakeitalk@gmail.com with your name, email and address. Congrats and thanks to all the amazing women who commented!